Coffee shops are a mainstay on suburban streets around the world, so it's only natural to want to cash in on the money-making potential of a well-made latte, but educating yourself on the potential pitfalls and challenges of the job is crucial. When you’re looking to enter a crowded market, one of the most important things you can do is take advice from your contemporaries. Ask anyone and everyone in the industry about how they got started, the challenges they faced, and whether they’re willing to share their tips for success. In the interest of avoiding a serious headache down the track, you should also get across any relevant licensing laws and restrictions for your industry before setting anything in motion. As part of your business plan, you should consider everything from your target customers and competition to your overall plan for long-term profitability, not only for your lender’s consideration but also for your own. Location is critical for any new business aiming to attract customers, and it will also impact expenses like your weekly rent. You might be worried about covering a higher rent in exchange for a location with increased foot traffic, but if you think long term, a more visible, accessible spot will pay off once you’re established. Consider all of these elements in your plan before you take any further steps like seeking investors, and make sure you’re starting off on the right foot. It’s probably no surprise that you’ll need a cash supply to start your own business, but the specific amount will depend on your location and your plans for the business. The total cost can vary wildly, but a sound cost estimate sits between $80,000 and $250,000. Needless to say, a nice lump of savings will come in very handy, as will a strong financial history, particularly when the time comes to apply for a loan. If you’re new to entrepreneurship, getting a professional accountant on your side could prove a worthy investment. For many people, coffee shops present more than just an opportunity to fill the daily caffeine quota. They can become part of a lifestyle, and if you want to instill your business as a regular part of your customers’ routines, interior design is important. A pleasant atmosphere with comfortable seating options is more likely to earn return patronage than a tiny hole-in-the-wall, so take the time to design your floor plan and space well. Your aesthetic also extends to basic items like your coffee mugs and cutlery, but you won’t miss much by stocking up on cheap basics and buying in bulk. It pays to be prepared for any breakages, after all. The coffee machines you buy are likely to make up a significant portion of your overall costs, particularly if you're after something top-shelf, but the investment will be reflected in the quality of your end product. There are many upsides to buying your own machine, including the freedom and peace-of-mind that comes with full ownership, and the ability to offer competitive, flexible pricing for your customers. You should be prepared to spend several thousand dollars on a professional machine, as well as setting some money aside for servicing and repairs. However, if you’re not up to a long-term commitment, you can also rent a machine on a contract. 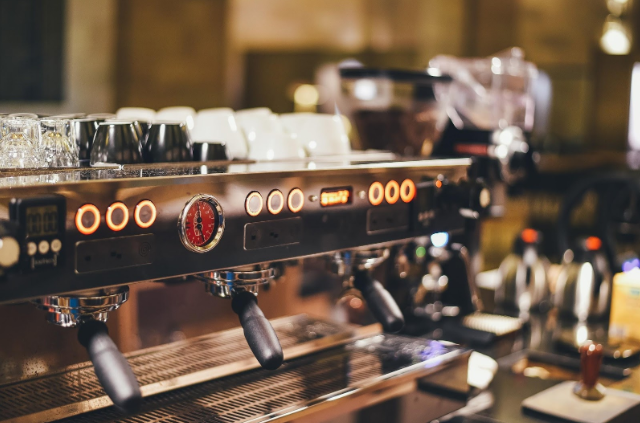 Just remember that a machine is only the beginning of your equipment needs - you’ll also need to budget for barista equipment like jugs, grinders, and thermometers to name a few. Your staff is more than the face of your business. They also have a lot to do with the quality of your product and the customers’ experience, which means you’ll rely heavily on them to create buzz and keep revenue flowing in. Of course, trained, experienced baristas are ideal job candidates, but the value of great attitude and customer service skills cannot be overstated. After all, you’ll probably need to provide staff training in order to ensure consistent quality, since no two cafes do everything in the same way. Starting your own coffee shop offers plenty of flexibility and freedom as long as you’re willing to put in the time it takes to earn a loyal customer base. Start by covering off the basics, work towards exceptional quality and service, and you’ll be on your way to long-term success.